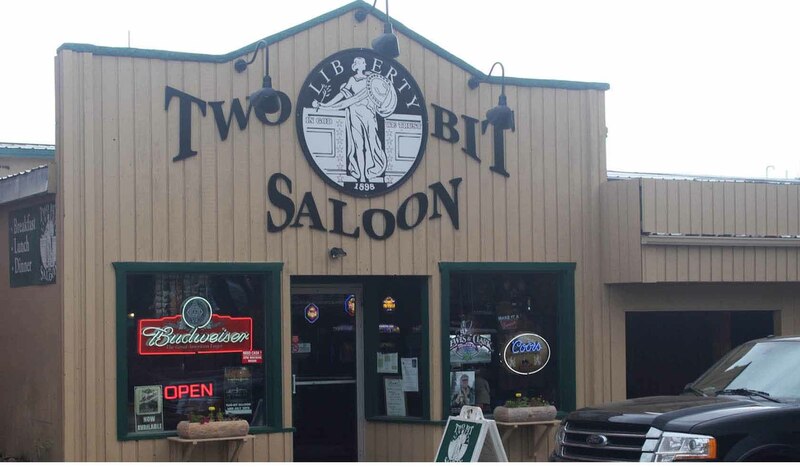 The Two-Bit Saloon and Cafe, now under new ownership, is located in Gardiner, MT across the street from the Northern Entrance to Yellowstone National Park. The Two Bit offers traditional American Food along with mixed drinks, wine and an expansive choice of beers including many fine Micro Brews, set in a traditional Montana Western decor. We serve a hearty delicious breakfast beginning at 8:00am and offer lunch and dinner until 10:00pm, saloon open until 2:00am The Two Bit also offers a variety of slot machine entertainment, juke box and pool tables. The Two Bit Dance/Music Hall features live entertainment and DJs during the months of May through September. We are family friendly and do our very best to offer all of our services with good old fashion western hospitality.